You’ve researched and made your pros and cons lists. You’ve shopped and talked to fellow RV’ers about everything you could possibly need to know about manufacturers, brands, floorplans, and even towables vs. motorhomes. But have you considered what is inside the walls of your RV? Your RV’s structure and how it holds up is vital when it comes to making sure you enjoy a low maintenance RV lifestyle. 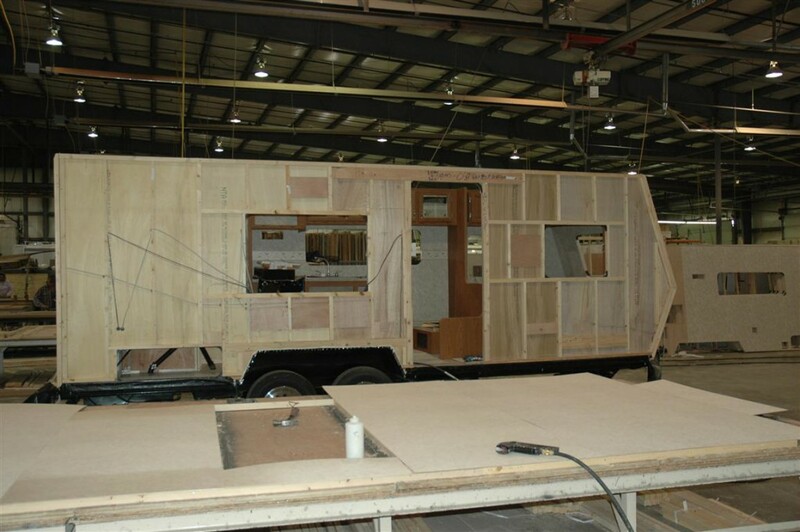 So, when it comes to RV construction, what are your options and which is best? What materials CAN your RV be constructed from? There are two main forms of construction that RV manufacturers use. The first method is the tried and true “stick-n-tin” construction that has been used since around the 1940s. The “stick-n-tin” consists of laying aluminum over a wood frame. The second is a newer process called “laminate” which consists of laying fiberglass over an aluminum frame. Both have pros and cons and an obvious cost difference. But is the savings worth the potential headache down the road? Is there even a worry about a headache down the road? There’s some great information available in favor of both. Some people think of wood in a negative way due to it’s susceptibility to rot, water damage and warping. But the problem is not really with the wood, but how well the RV is constructed USING the wood. If your RV is built correctly, there should be no reason that any moisture gets into the wood frame causing these nightmarish problems. When buying your RV, don’t just inspect the caulking job, ask the salesperson the hard questions. What did the RV manufacturer do to keep water from penetrating a wall or roof? Did they use staples, screws, or both? Wood framing offers insulation and the ability to flex as needed and return to its original configuration continually over time. Pros: Affordable, durable, easier to repair, and flexible. Cons: Heavier, potential need for repairs due to water damage, and difficult to clean. Who it’s best for: Price conscience shopper looking for the tried and true option. Who should avoid it: RV shopper with light weight towing needs. 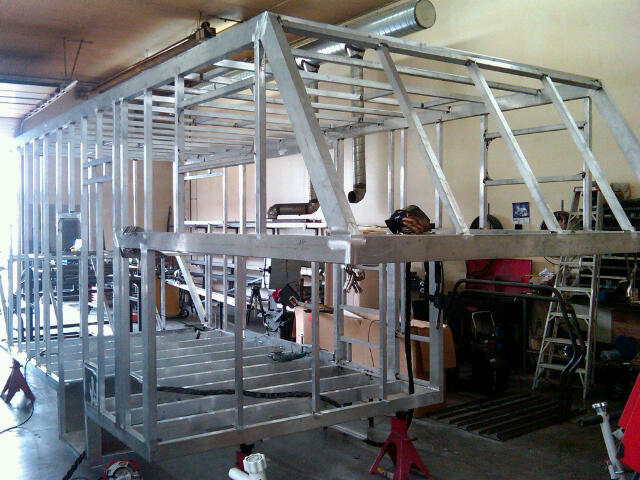 Considered the “new” way of constructing an RV, the aluminum structure is made to support a fiberglass outer structure. While this makes RVs lighter and thus they use less fuel, there are some draw backs. “Laminate” construction has a drawback called “de-lamination”. De-lamination is caused by water intrusion that has occurred to the sidewall, causing the plywood/luan backer and adhesive(s) to let go of the exterior fiberglass panel. This results in blistering of the outside skin. However, strides in the construction of laminate are being made every day to continue to improve its construction against the problem of de-lamination. And with its lighter weight, it’s a viable choice for your RV’s construction. Aluminum tends to be lighter weight and the fiberglass sidewall is more durable, easier to keep clean and less susceptible to dents. Pros: Lightweight, more durable, easy to keep clean, and less likely to dent. Cons: De-lamination, not easily repaired, and can’t easily be altered for after market parts. Who it’s best for: The RV shopper looking for a light weight towing option. Who should avoid it: RV shoppers on a tight budget. As you head off to the dealerships, how do you quickly spot the difference between an RV with a wood frame and one with an aluminum one? The hallmark sign of a “stick-n-tin” camper are the “ridges” on the metal which provide lateral lines that improves the look of the trailer. A great example of this type of trailer is the Jayco Jay Flight travel trailer. The aluminum frame campers also have a unique look. You can spot one by its sleek looking, flat side panels. 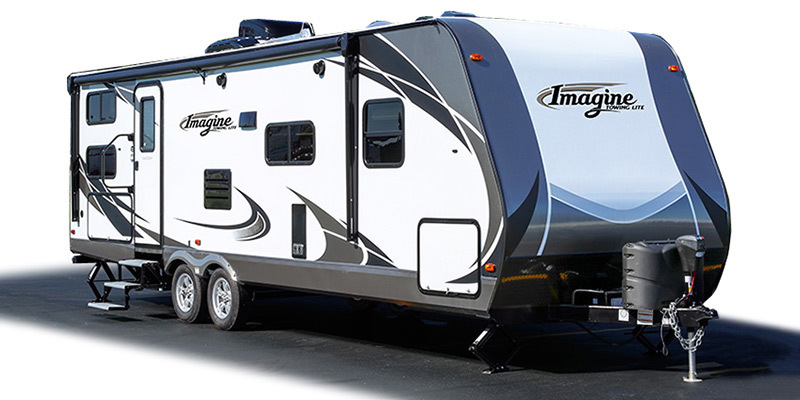 A great example of these RVs is the Grand Design Imagine travel trailer. 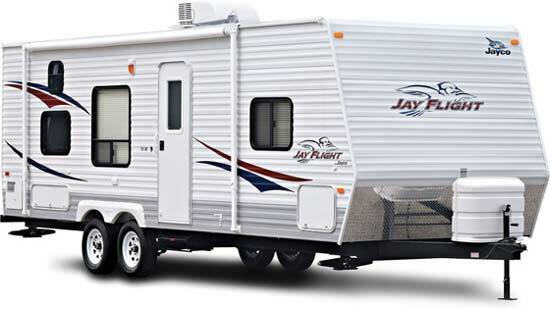 Great example of a wood frame design – the Jayco Jay Flight. A beautiful example of aluminum structure – the Grand Design Imagine. 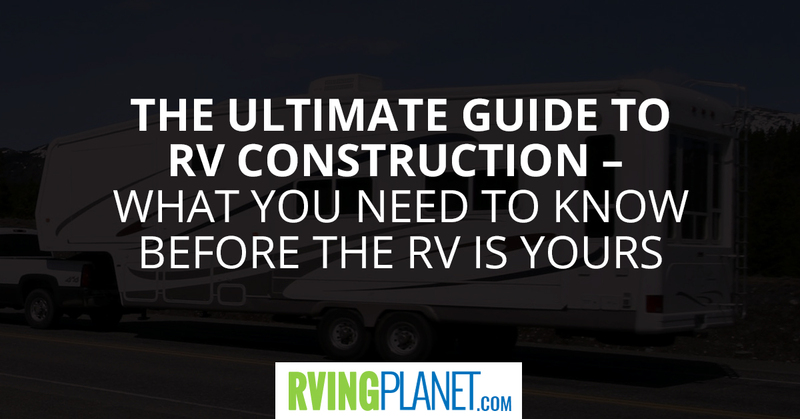 So Which RV Construction Do You Choose? Armed with all of this information, which construction do you choose? The main point when it comes to construction is doing your due diligence when you pick a manufacturer or brand. Reputation and standards of the builder of your RV is most important when it comes to construction. 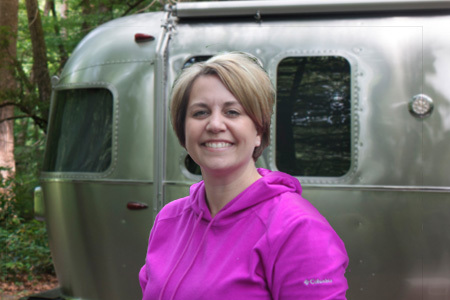 Speak with owners that already have your choice of RV and ask what problems they may or may not have had and more importantly how their problems were handled. Another deciding factor for choosing between material is towing weight. If you already have a vehicle you are looking to use to tow your new camper, make sure whichever route you choose is compatible. Wood and aluminum can both provide you and your family with an RV you will enjoy for years to come. Interested in the future of “laminate” and how they are improving this process? A company in Elkhart, Indiana called Dicor Corporation is constructing a composite for use in RV building. The process is a newer technology and has the ability to be constructed without human interaction. This process would allow manufacturing to be both more consistent and produced at ambient temperatures beyond the extremes most vehicles see. With the benefits of being able to withstand a high temperature environment and a lighter weight, strides are being made to make this construction a viable choice for RV’ers everywhere. Ready to start your adventure as an RVer or “buy up” with a brand new RV? It all starts with a stellar shopping experience! You want one that has the right construction for your style of road tripping so that you and your family are as comfortable as possible, no matter what the road throws at you. Need a good place to start? Choose which type or brand you are looking for and explore your choices! Check out the hundreds of options listed here: shop RVs.